"BUILDING INTEGRITY IN HUMAN RESOURCES MANAGEMENT"
civilians occupying similar positions in civilian organizations. 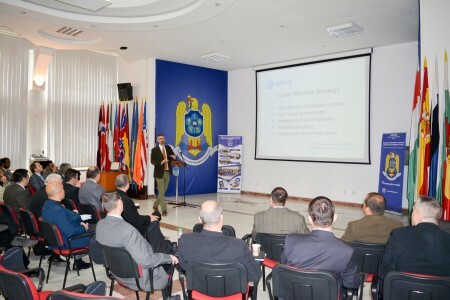 The course aim is to provide insights that will inform efforts in the defence sector, consistent with the NATO Building Integrity (Bl) Policy and promoting integrity, transparency and accountability related to Human Resources Management. (listening (fair/2), speaking (fair/2), reading (fair/2), and writing (fair/2). The course provides a broad introduction to the principles and standards of international conventions and other agreements that regulate a modern and efficient HRM system in the public sector, including the Armed Forces. These principles and standards provide public servants with protection from abuse of political power or other positions of authority and include recruitment of personnel, promotion, remuneration, etc. Such a meritocratic public service, based on transparent rules, competence, accountability, and independent judgment, represents a prerequisite in a modern democracy characterized by the rule of law. The course emphasizes two dimensions of public HRM systems: institutional and managerial aspects. The former regards the role of public officials in protecting fundamental values in a political system, like democracy, individual rights, the rule of law, and the public interest. To promote these values public officials are obliged to be loyal to the government of the day but, at the same time, to be impartial, politically neutral and professionally independent. The managerial aspects cover mainly economic-related concerns of good governance in the public sector. (TBD) Understand what oligarchy means, how this system nurtures corrupt behavior and consequences for HRM.